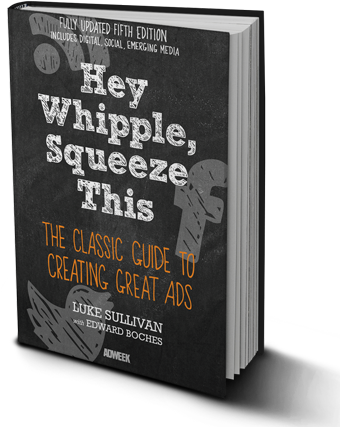 This classic (and very irreverent) bestselling guide to creating great advertising, Hey Whipple, Squeeze This, has inspired a generation of ad students, copywriters, and young creatives to make their mark in the industry. Students today need new guidance to ply their craft in the digital world and this updated fifth edition explains how to bring brand stories online, in addition to traditional media like television, radio, print, and outdoor. Now in seven languages and used in colleges worldwide, Whipple will help sharpen your writing chops, unleash your creativity, and raise the level of your work whether you’re new to the business or a practicing professional. 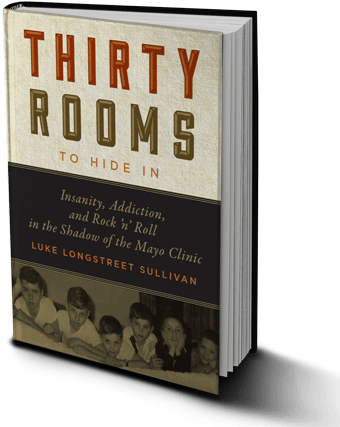 “The Shining … but funnier.” That’s how the author describes his memoir Thirty Rooms To Hide In: Insanity, Addiction, and Rock ‘n’ Roll in the Shadow of the Mayo Clinic. It’s the story of six boys growing up in a great dark house in Minnesota, as the father – a respected surgeon – goes slowly insane. With winters raging outside and the father raging within, it is their mother’s protection that allows the boys to have a wildly fun, thoroughly dysfunctional time growing up. With dark humor as the coin of their realm, and the Beatles as true north on their compass of Cool, the band of brothers make movies, start a rock & roll group, and wise-crack their way though a grim landscape of their father’s insanity, Eisenhower’s Cold War, fallout shelters, and JFK’s assassination.